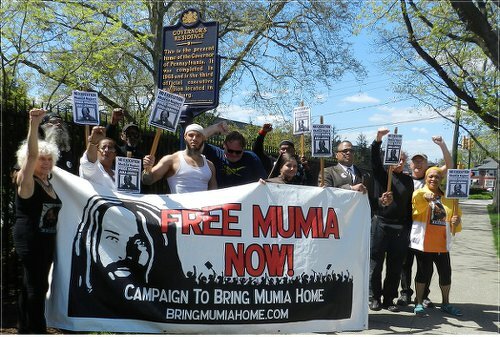 Supporters fight for Mumia’s life at Pennsylvania governor’s residence. 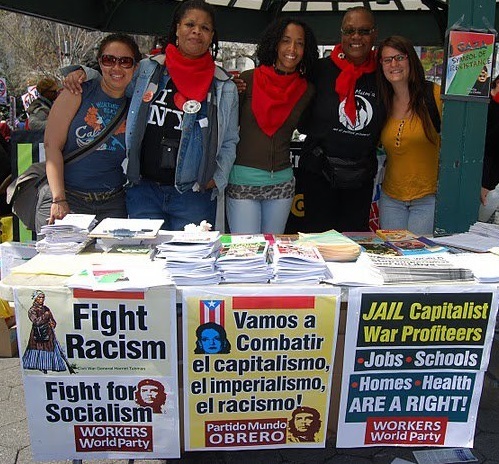 Philadelphia — Intensive worldwide efforts have been ramped up to raise awareness of the dire health crisis facing Mumia Abu-Jamal since April 26, when his spouse, Wadiya Jamal, sounded the alarm over his deteriorating condition. They demand that Pennsylvania stop its effort to murder the political prisoner and renowned journalist by medical neglect. Wadiya Jamal visited her spouse on April 24 and 25 and reported that Mumia’s condition was worsening, especially after SCI Mahanoy prison doctors dosed him with the drug cyclosporine. Its dangerous side effects seemed to exacerbate his condition. This drug is contraindicated for people with diabetes; Mumia has adult onset diabetes. So many calls flooded the Pennsylvania Department of Corrections’ phones that officials complained they could not make outgoing calls. 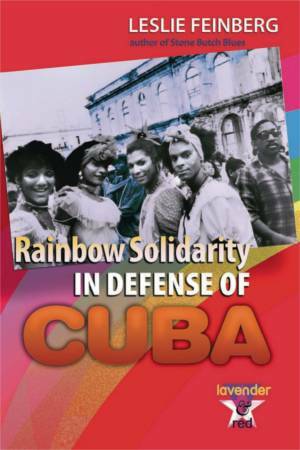 A half-page ad in the New York Times of April 29 addressed the crisis. Several people traveled to the state Capitol building in Harrisburg for a press conference and to visit Gov. Tom Wolf’s mansion on April 29. 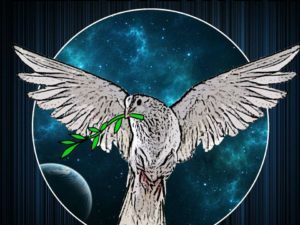 A video addressing the state’s attempt to murder Mumia produced by Steve Vittoria, director of “Long Distance Revolutionary,” was widely circulated. View it at tinyurl.com/It67357. Mumia was wrongfully convicted of killing a Philadelphia police officer in 1981. He was incarcerated and sentenced to death. He was imprisoned on death row until 2011, when a global movement finally pressured the courts to rescind the death sentence. In 2012, he was transferred to general population at SCI Mahanoy in Frackville, Pa. In January 2015, Mumia began to develop serious skin allergies. Due to mistreatment and misdiagnosis by doctors at the prison infirmary, his condition worsened, leading to complications of adult onset diabetes. On March 30, when his blood sugar and sodium levels were at potentially fatal levels of 779 and 168 respectively — and he had collapsed from diabetic shock — he was transferred to the intensive care unit in Schuylkill Medical Center in Pottsville, Pa.
Three days later, Mumia was returned to the prison infirmary, into the hands of the same doctors who had failed to diagnose his diabetes despite administering three blood tests. In spite of insulin treatments and some adjustments to his diet, Mumia’s health has deteriorated. His symptoms include uncontrolled diabetes, blood in his urine, the loss of over 65 pounds, uncontrolled hand tremors, slurred speech, memory loss and a painful skin disease with open sores. His skin has hardened and his body is partly disfigured, particularly on his neck and face. Proper medical care is a right! While prison doctors seemed incapable of properly diagnosing and treating Mumia’s increasing health crisis, the Department of Corrections denied his grievance requesting to be seen by medical specialists of his choice. Yet, when John E. du Pont, an heir to the famed chemical empire fortune, was imprisoned, the same officials granted him access to private doctors. Mumia deserves the same treatment. When Mumia’s lawyer, Bret Grote, attempted to visit him on April 27, he learned that Mumia had been sent to the prison infirmary. Yet prison officials denied him access despite laws allowing uncontested lawyer-client visits. Then, no one had received calls from Mumia in the days following the visits with Wadiya Jamal on April 24 and 25, raising grave concerns that his condition, untreated and misdiagnosed by prison doctors, could result in his death. The combined pressure of phone calls, ads and direct actions finally resulted in prison administrators allowing the doctors of Mumia’s choice to review his medical records. While not allowed direct access, these doctors will be able to consult Mumia by phone to advise him on what treatments would be best. On medical advice, Mumia stopped taking the cyclosporine. Grote was finally allowed to visit Mumia at the prison infirmary on May 1. 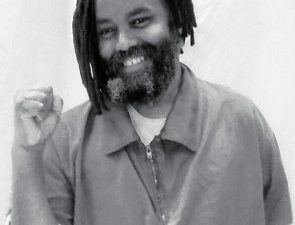 Pam Africa, who saw him on May 2, reported that “while his condition seems somewhat better, Mumia is still far from being out of the woods.” She urged supporters to continue to pressure the state. These partial victories came about only because the movement to free Mumia has been relentless. The growing connections between the campaign supporting Mumia, the Black Lives Matter movement against police violence and the struggle against mass incarceration have also played a key role.